Let's write, together. Not alone. 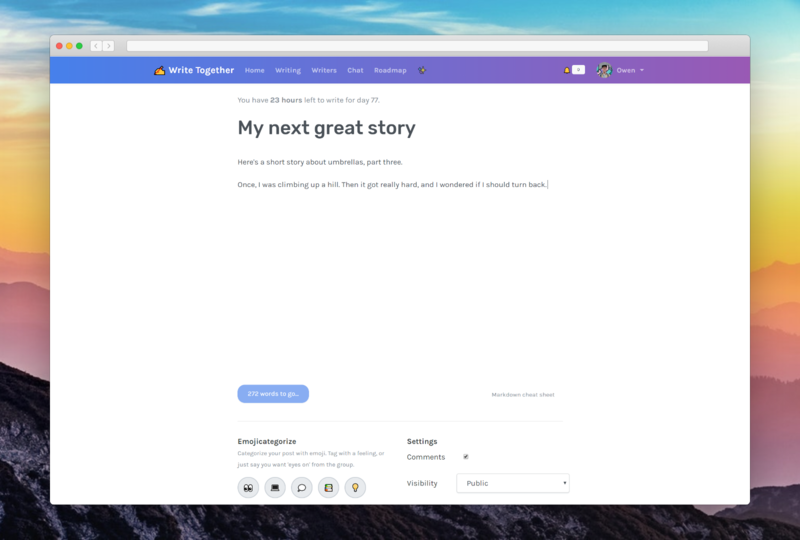 It's a blog, but better: the first low-pressure writing tool with a community around it. No hassle or configuration, just a place to write. Write Together is a community of writers taking the time to write a few words down as often as they can. Join more than 152 people writing together and get your own space to write. 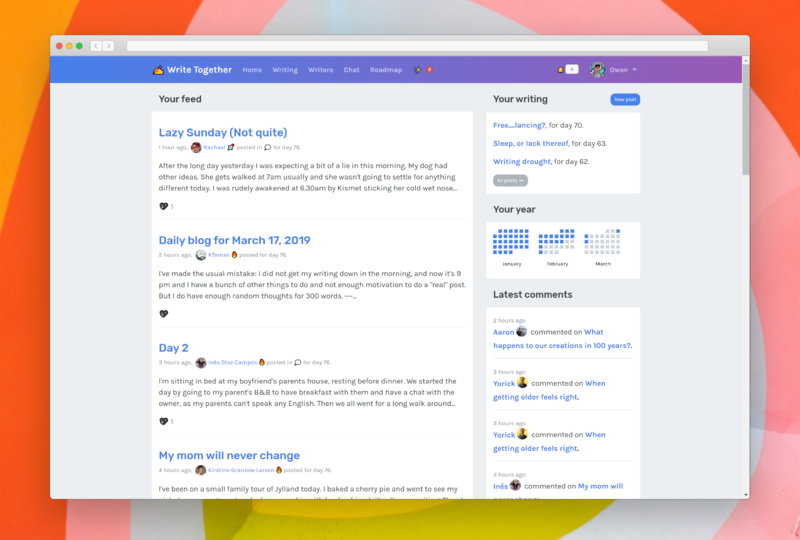 Write Together is a simple tool designed to help make writing fun again. Learn to write, or just write for fun, we're all in it together. There's just one rule: Write once a day before midnight to earn the checkmark for that day -- or lose your streak! Get in the habit of writing by writing at least 300 words every day, or as often as you can. It's fun! Be pushed through community, and discover new topic ideas. Join our chat and talk to other bloggers/writers. Be accountable with us and get in the habit of writing. Get the longest streak, badges, and community support! A space for your words. With new friends. We're a team of writers, building better tools for your words to call home. We wanted a community of people, and writing that mattered, not just hot takes. And we'd love to have you.